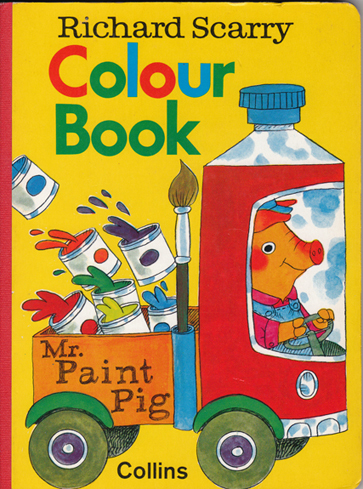 Description: Delightful board book which introduces basic colours to little ones. Scarry's charming trademark colour illustrations grace every page. Pictorial boards with red cloth spine. Considering its age and intended audience, the book is in remarkably good condition. The covers are very lightly worn (99% of the flaws are only visible under direct light), whilst the pages/boards are in excellent, unmarked condition. Measures 19.5 cm × 14.5 cm (7.8″ × 5.8″). Small 8vo. Unpaginated.